Economics is the study of how humans use limited resources (land, labor, capital and enterprise) to manufacture goods and services and satisfy their unlimited needs and distribute it among themselves. It is divided into two broad branches, microeconomics and macroeconomics. Each branch has its own policies and regulations relating to different sectors such as agriculture, labor market and the government. Microeconomics is the study of the behavior of an individual, firm or household in the market while macroeconomics is the study of the economy as a whole- that is, the individuals, households and firms collectively. Microeconomics was first introduced by the economist Adam Smith and is the study of the economy at a lower level, it is commonly termed the ‘bottom-up’ approach. This branch of economics focuses on how decisions made by people and organizations can affect the economy as a whole. As individuals, we make numerous decisions everyday from what clothes to wear to what food to eat. These decisions are made by the different agents in the economy and serve as the basis for microeconomists to study how they affect supply and demand and ultimately the economy as a whole. Tools such as supply, demand, consumer behavior, spending and purchasing power of people are used by economists to build models that they base their learnings on, one such model is the supply and demand curve. By understanding the buying and spending habits of people, economists come up with various theories to understand relationships between different elements and how these small parts fit into the larger picture. However, in the real world, things are different and cannot always be represented through a model. Hence some economists study subsets of microeconomics such as human behavior which is the actions taken by an individual when making a decision and the behavioral model which uses disciplines such as psychology and sociology to understand how people make decisions. Since microeconomics is the study of the economy at a lower level, many people use it as a starting point for learning economics. The theories used in microeconomics are then used to study the economy at a larger scale- also known as macroeconomics. 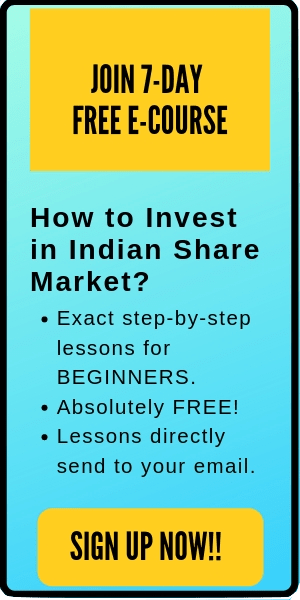 Also read: What is Top Down and Bottom Up approach in stock investing? While microeconomics is a bottom-up approach, macroeconomics is considered a top-down approach as it is the study of the economy on a larger scale. Prior to 1929, many economists only studied microeconomics (people’s individual decisions) however after the crash of 1929 (aka the great depression), many economists were unable to explain its cause. They found that there were forces in the economy, which based on people’s decisions, could have a positive and negative impact. In addition to looking at individual decisions, it was also important to look at the big picture. Macroeconomics is the study of larger issues affecting the economy such as economic growth, unemployment, trade, inflation, recessions and how decisions made by the government can affect the economy. For example, the Central Bank creates their interest rate policies based on the macroeconomic conditions in the country and around the world. John Maynard Keynes is considered the founding father of Macroeconomics and his understanding of the subject was largely influenced by the Great Depression. During the 1930s Keynes wrote an essay titled The General Theory of Employment, Interest and Money where he outlined the broad principles of Macroeconomics that led to the development of Keynesian economics. Keynesian economics are macroeconomic theories about how during a recession, in the short run, the output is influenced by the aggregate demand in the economy. Milton Freidman another pioneer of macroeconomics used monetary policy to explain the reasons for the depression. 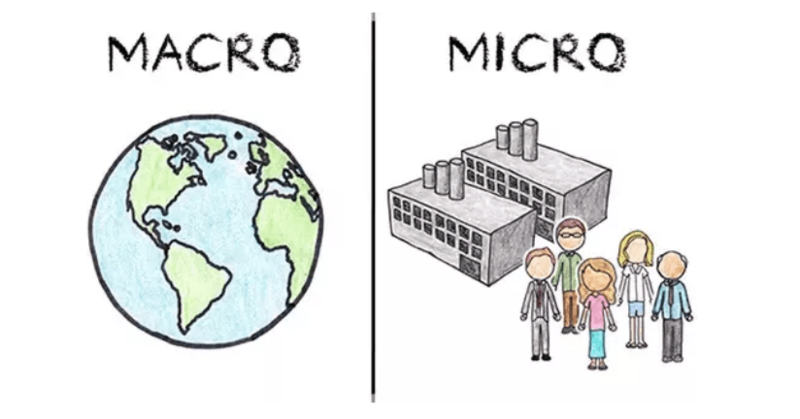 As mentioned earlier, microeconomics is the study of individual and household decisions and the issues they face. This could be analyzing the demand for a certain good or service and how this affects the production levels of a company. It could also be the study of effects of certain regulations on a business. While macroeconomics is the study of the economy as a whole. This involves looking at the gross domestic product (GDP) of the economy, the unemployment rates and the effects of inflation, deflation and monetary policy. For example, they may look at how an increase in taxes can affect the economy using the GDP, national income and inflation rate as a metric rather than individual factors. 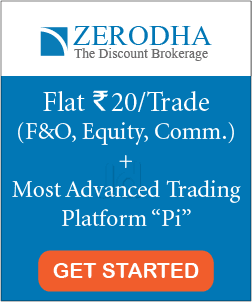 Microeconomics is useful for determining the prices of goods and services in the economy along with the costs of the factors of production (land, labor, capital) while macroeconomics helps maintain price stability and creates policy to resolve problems dealing with unemployment, inflation and deflation. However, both micro and macroeconomics come with their limitations. For example, the study of microeconomics assumes that there is full employment in the economy. This can lead to unrealistic theories as this is never true. In macroeconomics, there is a fallacy of composition where economists assume that what is true for an individual is true for the economy as a whole. However, in the real world, the aggregate factors may not be true for individuals too. 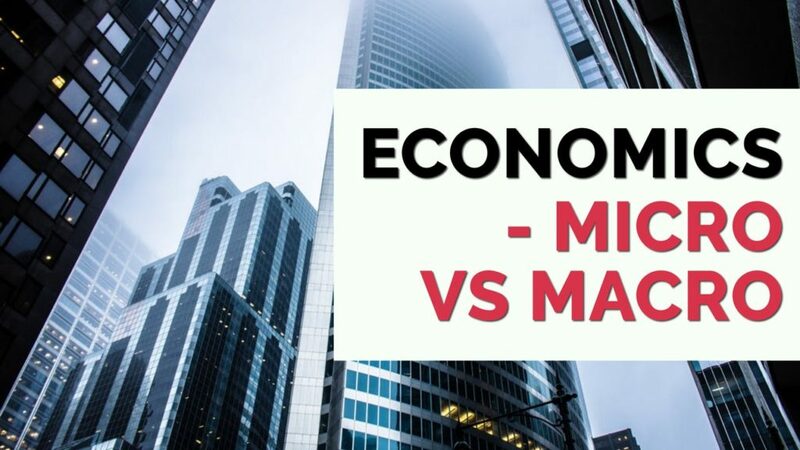 By definition, microeconomics and macroeconomics cover completely different aspects of the economy and while this is true, the two fields are similar and also interdependent on each other. When dealing with inflation, many people think of it as a macroeconomic theory as it deals with interest rate and monetary policy. However, inflation is an important part of microeconomics because as inflation raises the prices of goods and services, it reduces the purchasing power that affects many individuals and businesses in the economy. Like inflation, government reforms such as minimum wage and tax rates have large implications in microeconomics. Another similarity in microeconomics is the distribution of the limited resources. Microeconomics studies how the resources are distributed among individuals while macroeconomics studies how they are distributed among groups that consist of individuals. Also read: How Does The Stock Market Affect The Economy?